If you are looking for rural holiday accommodation then this is the right place for you. We have a huge selection of rural cottages, B&Bs and hotels in the UK, Ireland and France. We recognise that many holiday makers sometimes want to get away from the cities and towns to stay in a more rural setting. A rural setting can offer peace and tranquillity for a relaxing holiday. For a holiday in the rural countryside, England offers rolling hills, impressive dales, ancient woodlands and winding country roads. Staying in rural holiday accommodation allows you to explore the English countryside and experience many outdoor activities such as walking, horse riding and adventure activities. Popular areas for rural holidays are Peak District National Park, the Cotswolds and Devon. Within the regions, explore stately home with beautiful gardens, visit ancient castles and quaint villages and market towns. Scotland has some of the most spectacular countryside and some of the most remote countryside to explore. There is a large network of quiet off-road routes for horse riders, walkers and cyclists to explore the countryside. Summer is the perfect time to explore the Scottish countryside however many parts of the countryside can look truly stunning in all seasons. 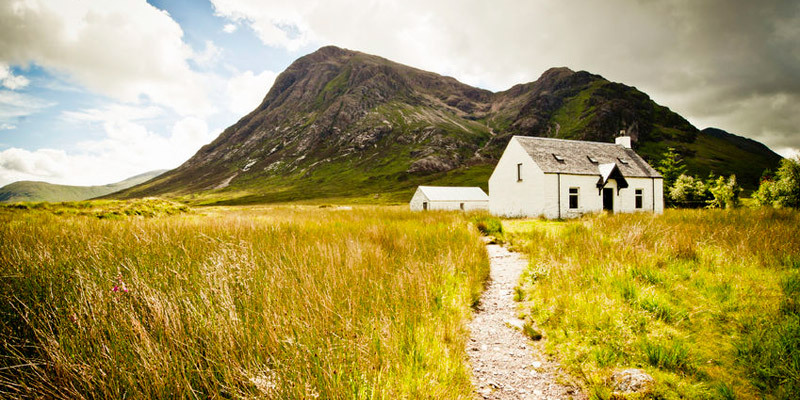 The Scottish Highlands boast some truly beautiful countryside scenery, complete with impressive mountain ranges, waterfalls, meandering rivers and amazing wildlife. Wales offers a variety of landscapes with some breathtaking sites to explore. Wales’ biggest National Park, Brecon Beacons with rolling hills, lots of open space, cliffs, caves and waterfalls to explore is the perfect rural location for a holiday. The Mid Wales Marches area close to the English Border is great for walking with national trails to explore. Throughout the region you will find castles, country houses & gardens, nature reserves, market towns, lakes and mountains. Few countries can claim to have a countryside with as much personality as Ireland's. It offers coastal cliffs, miles of lush green landscapes, rolling hills and forests. Irish rural villages with their country pubs are the perfect retreat to get away from city life and experience Irish culture. Donegal, Mayo and Sligo counties have an abundance of spectacular scenery including rugged heathlands and rivers. Explore the Ring of Kerry through the Killarney National Park and enjoy outdoor pursuits that include golf, water-sports, cycling, walking and horse riding.